There is little doubt the world is becoming more and more urbanised as people forgo living in rural areas to etch out a future in cities. The same development is taking place in Denmark. According to a population prediction from the national statistics keeper Danmarks Statistik, Copenhagen will be 15 percent more populated (and have almost 700,000 people in total) by 2027. 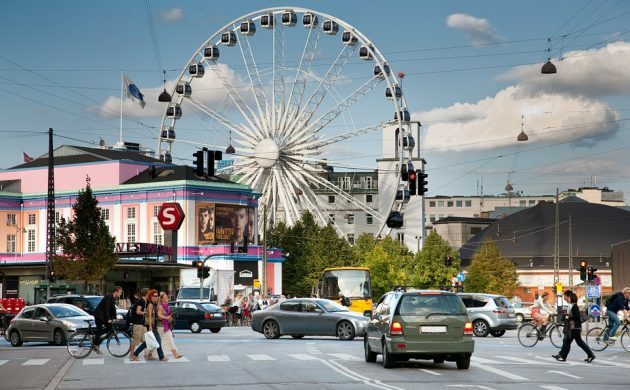 “It’s a trend we are seeing across Europe and the entire world: a centralisation of population in cities and large metropolitan areas,” Anne-Mette Hjalager, a researcher in the Department of Tourism, Innovation and Culture at the University of Southern Denmark, told Metroxpress newspaper. It’s not only Copenhagen that is experiencing growing pains. Other municipalities in the capital region are also expecting a population increase. Ishøj Municipality in the western suburbs of Copenhagen is predicted to grow by 15.6 percent, which is even more than Copenhagen. Herlev is expected to jump by 12.9 percent, while Brøndby and Vallensbæk are also believed to be shooting up in population (both 10.4 percent). Outside the capital region, Aarhus is expected to increase by 9.8 percent, while Horsens will jump by 9.7 percent, but 26 other municipalities are expected to endure a downturn in population. Folks will be particularly sparse in the municipalities of Lemvig and Lolland, where the population will drop by 8-9 percent. By 2027, Denmark’s overall population will have exceeded 6 million, and by 2060 it’ll have surpassed 6.5 million people, according to the prediction. The share of immigrants and their descendants are also expected to rise: from 12 percent of the population today (broken down: 9 and 3 percent) to 15.6 percent (11.5 and 4.1) in a decade’s time.